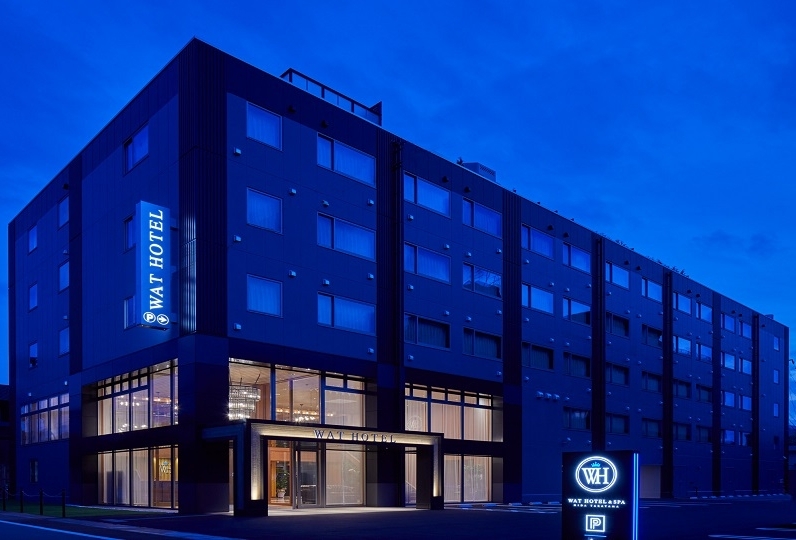 This is a long-established Japanese style hotel located along the Hida river. 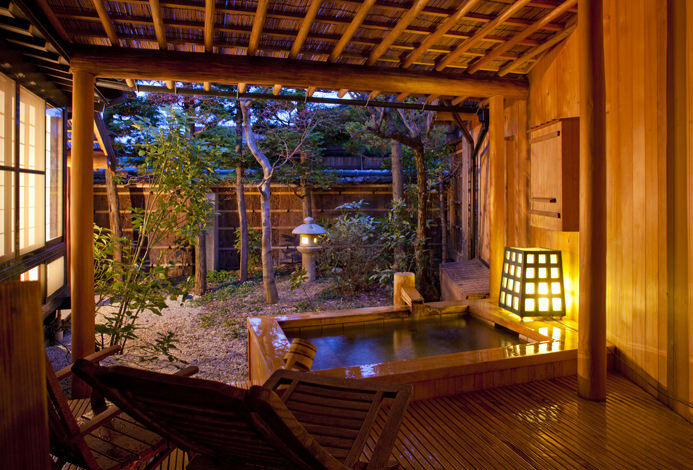 At the hotel you will feel the Japanese heart in a calm Japanese garden. 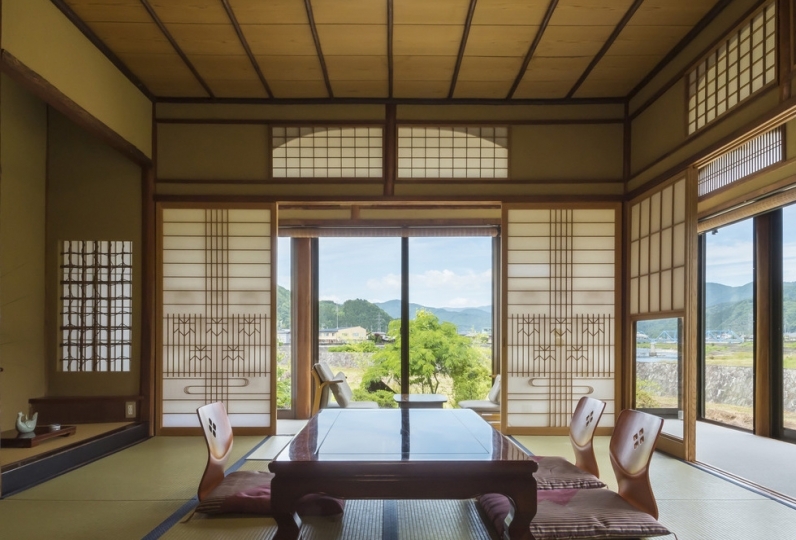 The hotel has a Noh theater (designed by the famous Noh player, Sekine Shoroku), art gallery, tea room, and more, all with the purpose of showcasing the beauty of Japanese art and architecture. 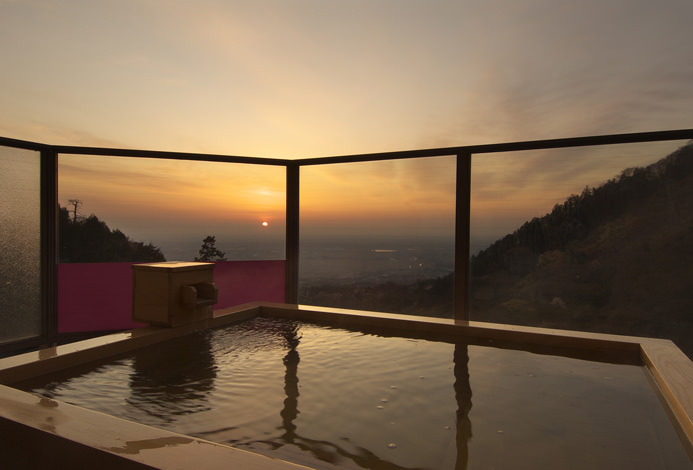 Some of the rooms have indoor private hot springs while others are more standard. You can also enjoy the villa that is removed from the main building and includes western style rooms. Choose the space that suits you liking. There are three different types of public bath. One is an outside public bath, one is an indoor public bath that boasts a wonderful view, and the last is a wooden public bath. The indoor public bath is open 24 hours. 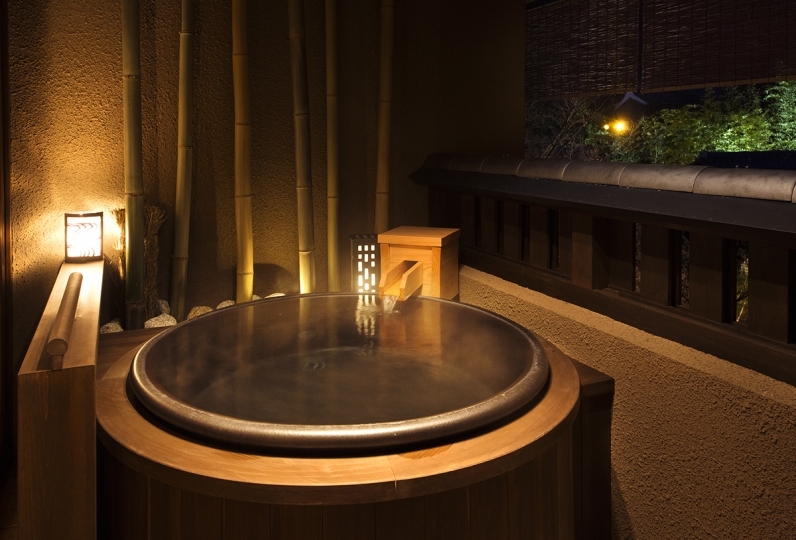 The hot spring baths are available for use with an additional fee of 150 Japanese yen. For meals you can choose from Japanese or Western style cuisine. You can enjoy Japanese Kaiseki cuisine in your room or French cuisine in the restaurant. You can also enjoy Japanese cuisine in the restaurant / tea shop. Also enjoy Chinese cuisine with a unique new flavor. Enjoy the dining offered here. 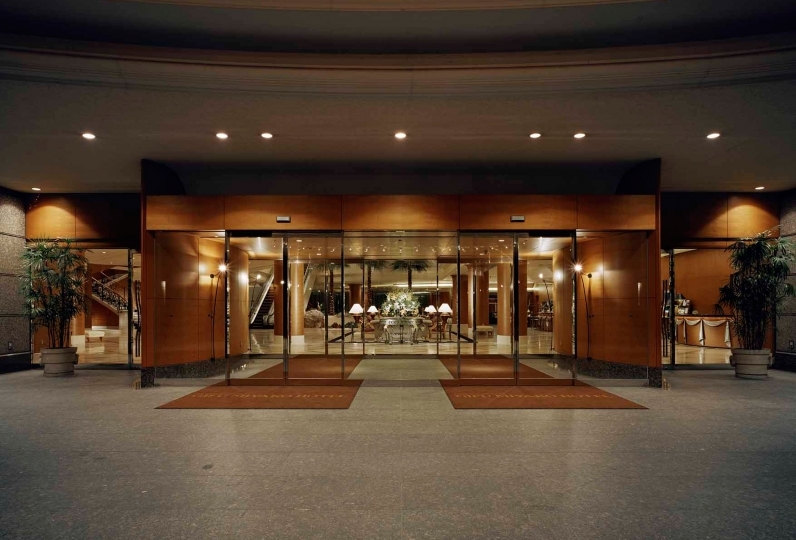 Enjoy the wonderful service that has continued to develop and improve since 1932. WiFi connection is weakness. It is not available to use often. Hope will improve in near future. Thank you for upgrading your room. The three family members were able to spend a very happy time in the room where the staff care and tension were rising. The primary schoolchild's son also says many times that he wants to go again. Meals are not dry opinions, It was normal. I chose French for dinner, but overall the sauce was scarce and there was nothing to leave an impression. Breakfast was also true but there was no such thing as a watering hall, but it seemed that Hida milk was delicious, so my son drank three glasses from the morning. We had ramen at a Chinese restaurant for a late night meal. The carrier noodles were very delicious. I talk that I want to eat it again with an elegant taste. I think that next time I would like to have a meal at a Chinese restaurant. I was thrilled that my wife had come to pick me up at the station. I was grateful for Nakai's response, such as having them take a picture. I was also helped by sending the items I bought before at the time of regional shipping of the store. I was able to taste a little sense of luxury such as luxury of the room. Thank you very much. Enjoy this relaxed atmosphere decorated with bricks. The French cuisine is delicious and includes plenty local ingredients. This is the place where the atmosphere of Hida is very present. 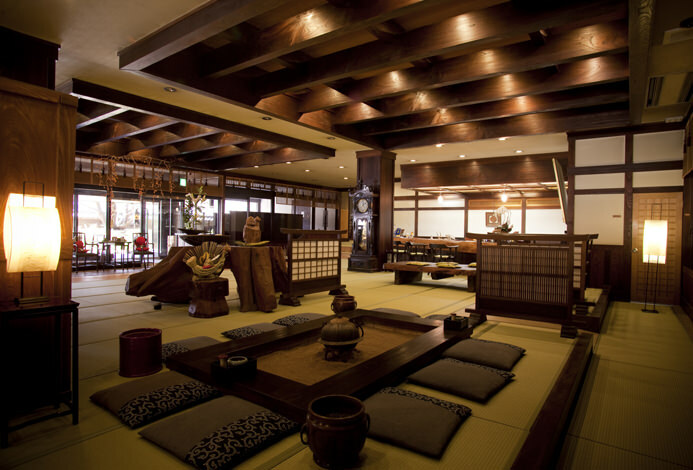 The kaiseki offered here provides the best of Hida's 4 seasons. Enjoy the new and old Chinese cuisine offered here created using local ingredients. Enjoy the warmth offered by the arbor decor. Enjoy a relaxing night on vacation. The atmosphere here is like a Japanese garden in a painting. Enjoy the sweets and drinks prepared by the pastry chef. One is an outside public bath, one is an observant public bath which boasts a wonderful view, and the last is a wooden public bath. The observant public bath is open 24 hours. This is one of the three main hot springs in Japan known for its cosmetic effects. Enjoy your relaxed time here. Enjoy the artwork you will find throughout the facilities. 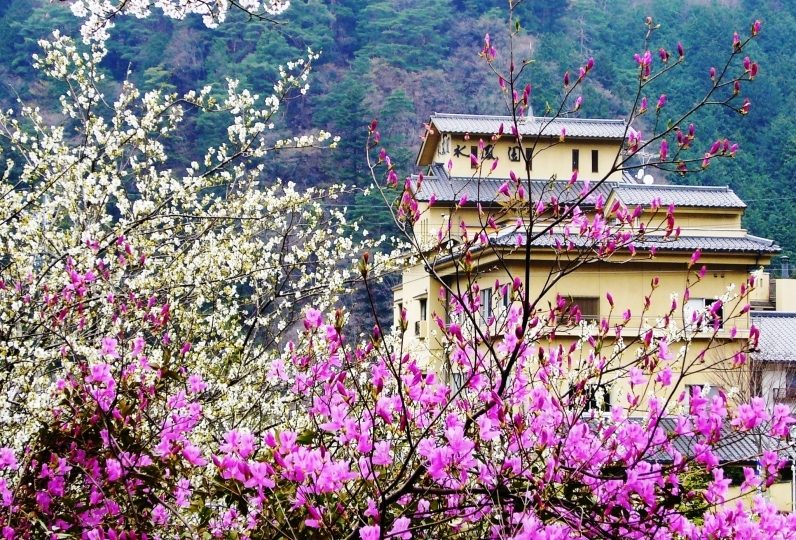 There is much to explore such as the Noh theater, tea room, warm pool, gym, and beauty salon. 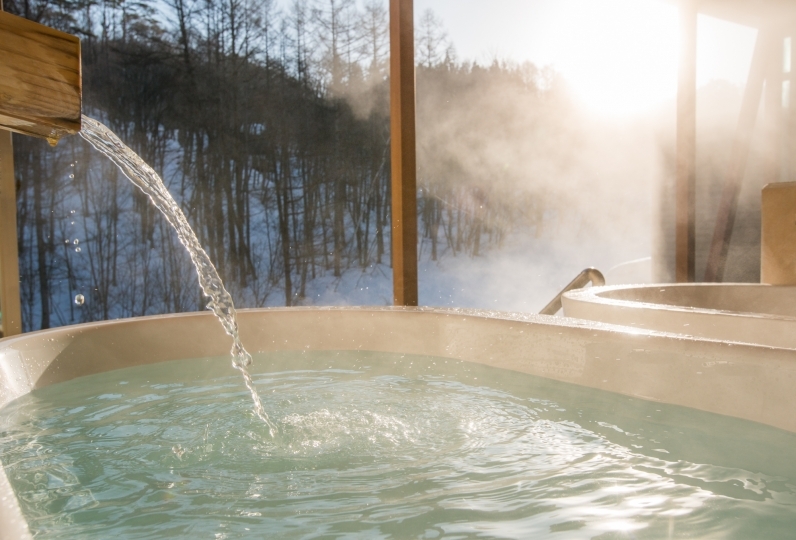 ・The onsen baths are available for use with an additional fee of 150 Japanese yen. let us know ahead of time. Please let the lobby staff know of you planned departure. 21 of people have viewed this page within the past 24 hours.